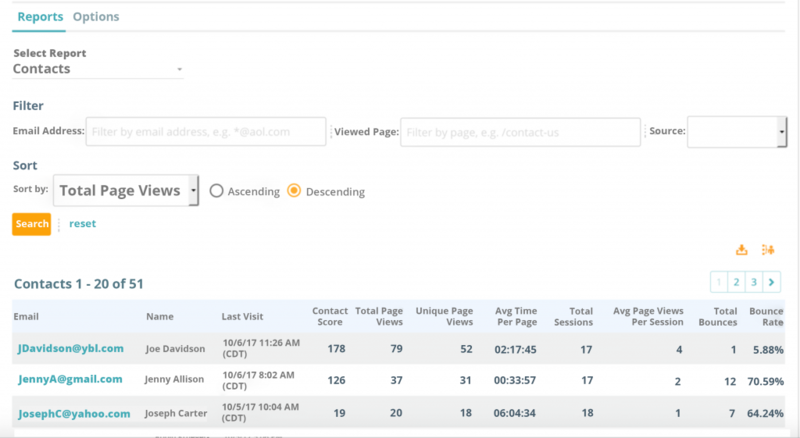 Use Website Tracking to gather actionable data on how (and where) your Contacts are engaging with your website, and put that information to work by building targeted remarketing campaigns on the fly. Get a quick and easy view of which arm of your digital marketing engine is driving the highest number of Contacts back to your website. Wondering if Contacts are more likely to hang out on your site if they came from email? 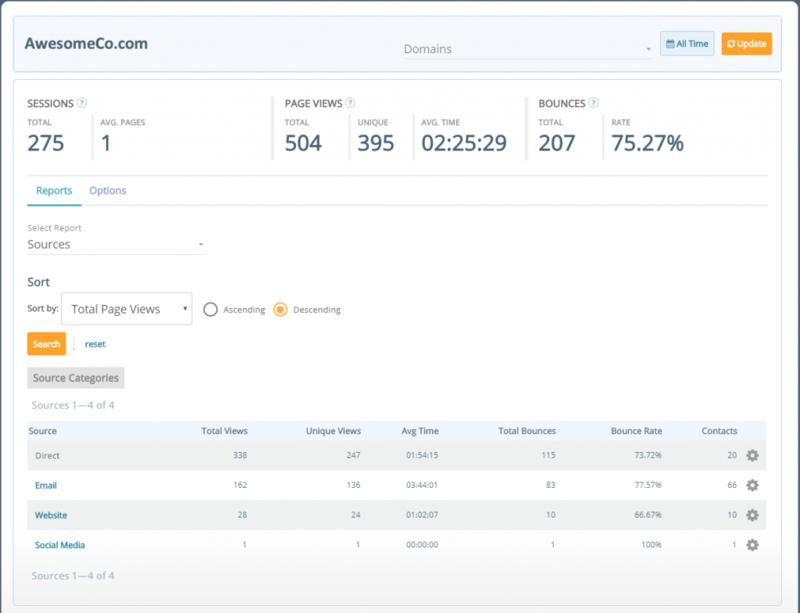 Want to know if your bounce rate for social media traffic is lower? No need to run a report or crunch the numbers–it’s all in the dropdown menu. 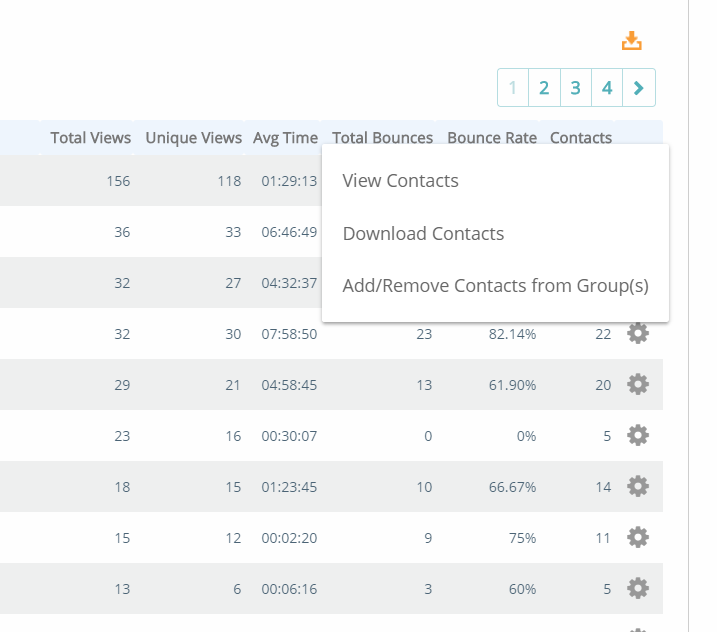 Track your Contacts across individual pages on your website and gain actionable insight into how many pages they’ve viewed over time, how long they tend to stay on each page, how many times they’ve visited your site, and how all that traffic is impacting their Contact Score. Yes, you can! Want to create a campaign targeted at all Contacts who visited a specific page? Add or remove Contacts to Groups based on actions they’ve taken on your website, or easily download the list for a remarketing campaign. See the emfluence Marketing Platform in action!